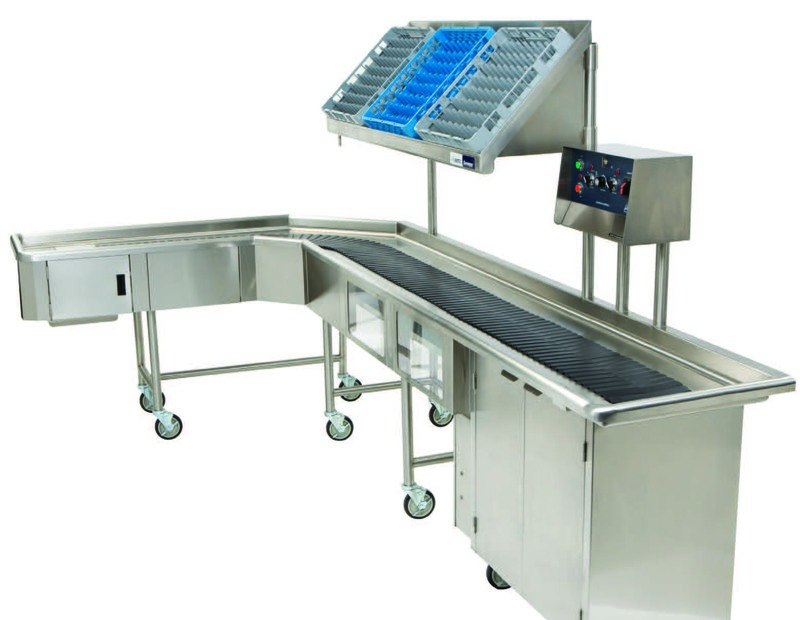 Maximize your meal service system with conveyors designed for nearly effortless clean-up and organization. 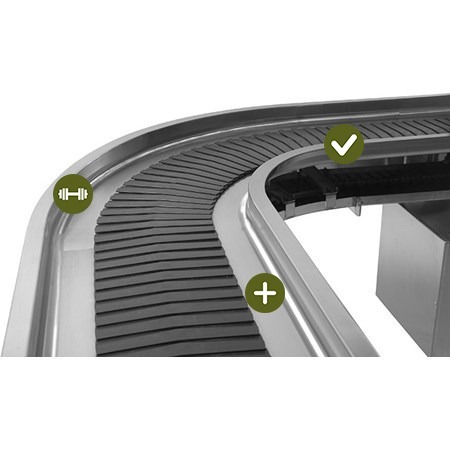 Ideal for soiled tray return in cafeteria dish rooms, Avtec’s slat belt conveyors feature patented slanted rollers on slats attached to a stainless steel chain for frictionless operation and easy removal at turns for efficient cleaning. 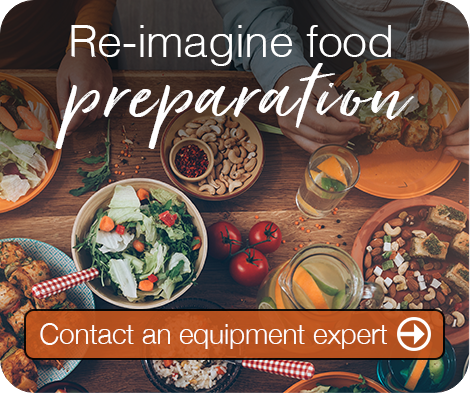 By expediting the cleaning process with self-cleaning return tracks, these conveyor systems remove the need for drip pans to gather spills and refuse typically left behind by other belted commercial foodservice equipment models. 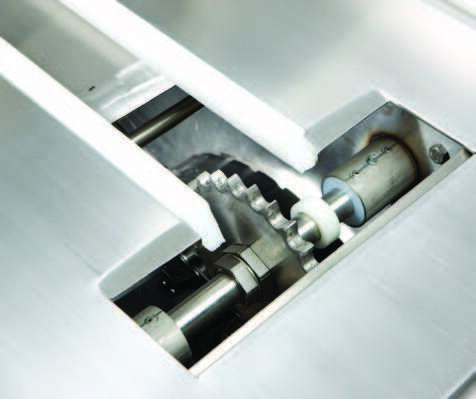 Safety is a crucial consideration with moving parts, and as a responsible kitchen equipment manufacturer, Avtec’s dish room conveyors help improve safety all around with a tension hub that will eventually slip when a jam-up occurs, saving slats and components from damage. 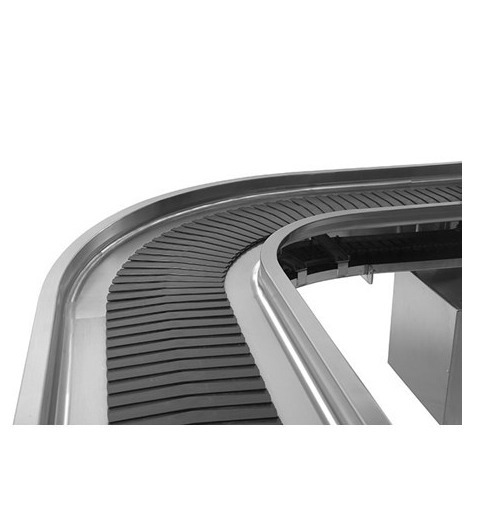 The reticulating slats are also gapless, preventing food waste from becoming lodged between slats while improving cleanliness and sanitation inside the dining facility. 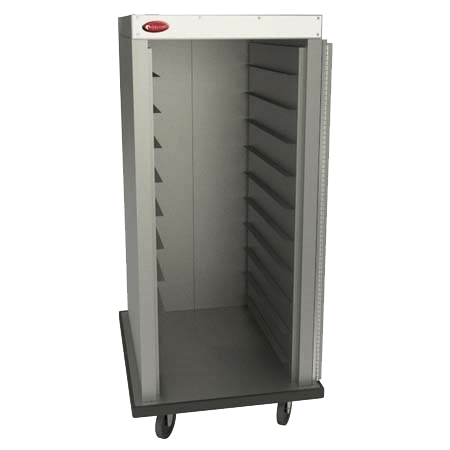 This also eliminates the possibility of catching utensils between slats, which could cause jams. 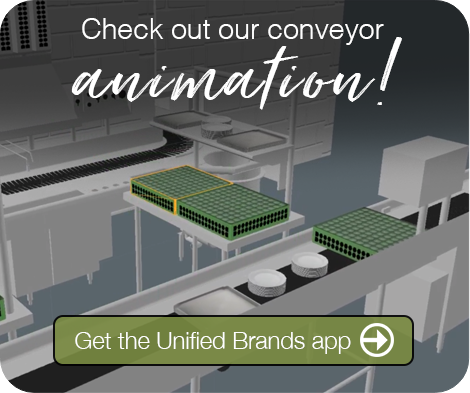 With its seamless uni-body construction and stainless steel assembly, Avtec’s slat belt conveyor allows for perfect alignment of hardware that requires no lubrication, reducing the number of foodservice equipment parts needed for installation or future replacement. Each conveyor is also tested prior to shipping, preventing time-consuming field adjustments to the frame. 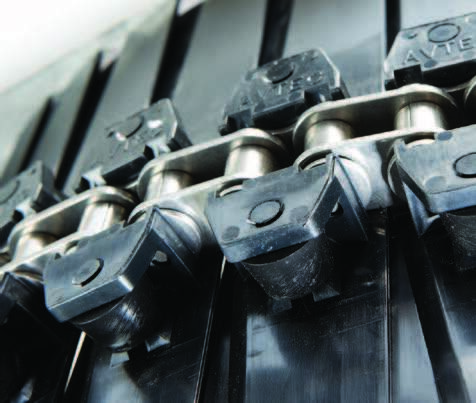 And with built-in reliability thanks to an auto-tensioning system that reduces wear and prevents breaking, the conveyor chain is engineered to perform without worry day after day, meal after meal.